Eir is to install a major national broadband upgrade that will affect three-quarters of all Irish homes, the company says. The €500m move will involve connecting new fibre lines directly into people's houses, bypassing its old copper landline network. A total of 1.7 million homes in urban and rural areas are to be covered, starting this autumn. Eir also claims its new rollout will include "about 80,000" of the 540,000 rural homes ear-marked for state-subsidised broadband under the National Broadband Plan (NBP). However, almost half-a-million rural homes will not be included in the new roll-outs. They are still waiting for news on the NBP, the Government's state-subsidised project, which promises to connect 540,000 under-served rural premises. Sources close to the Government say a "conclusion" of the NBP contract discussions with Granahan McCourt, the sole remaining bidder for the scheme, will occur "within weeks". But the overall number of rural homes to be covered by it may now be substantially reduced. As well as the 80,000 premises to be included in Eir's new fibre roll-out, at least one other operator is expected to confirm it has covered some of the premises included in the Government's 540,000 target list. The wireless operator Imagine is to announce a new national wireless broadband network later this week and has signalled that some of its roll-out will be in areas earmarked under the NBP. The former WiMax internet provider recently received more than €100m in new funding. This could create problems for the Government's rural broadband plans. Under EU state aid rules, publicly funded bodies cannot compete with private sector services. However, Eir's roll-out, called "fibre to the home", increases speeds by more than a hundred-fold in some cases. It will supersede Eir's 'eFibre' product, based on an old-fashioned copper telephone line. It will cover cities and towns with at least 1,000 residents, according to the company. Eir chief executive Carolan Lennon acknowledged Eir has had a "poor reputation" in customer service, but said a new strategy of concentrating services within the company rather than outsourcing will improve the situation. She said new Eir offices in Sligo, Limerick and Cork are "transforming" the firm's abilities. 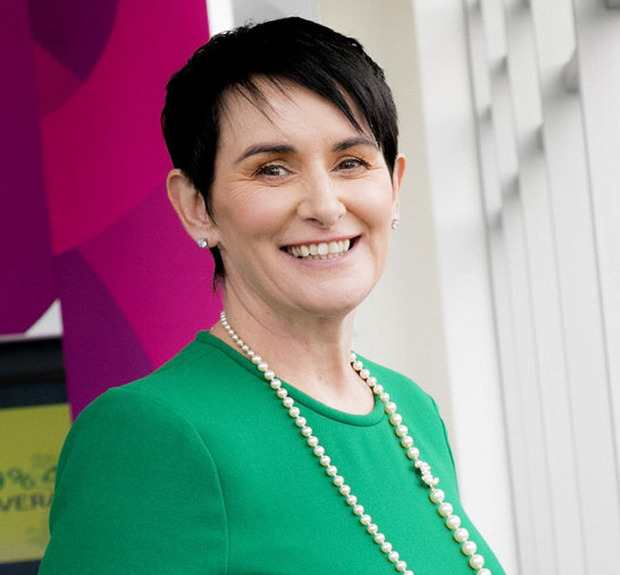 And Ms Lennon again said Eir would build out to 99pc of geographical 4G mobile coverage while launching its first 5G mobile services in cities by the end of the year. Separately, Ms Lennon said Eir will continue to use Huawei as a network infrastructure supplier. The Chinese telecoms firm has come under fire in recent months after the US, Australia and a handful of other countries said they would restrict its use in critical domestic infrastructure, citing security concerns. "We're very confident in Huawei as a partner," she said. "They're in every network in Ireland." Huawei will not be used as a "core" network for its new broadband roll-out, but as a "radio" accompaniment to Ericsson's "core" component. However, Eir's fibre roll-out does not mean it will stop offering services on its existing network. Under Irish law, the company is obliged to keep offering services on the old network until the telecoms watchdog, ComReg, accepts an alternative system has replaced it in every home. "Eir is by far the largest investor in telecoms in Ireland and over the past five years we have spent €1.5bn on our network," Ms Lennon said. "In June we will complete our €250m roll-out of broadband to 335,000 rural premises."